#TheBullAtTheGate Pre-Launch Promo 1 - Discounts! Exciting news just in from one of my advanced readers - no, it's hush-hush as to tell all would mean a spoiler. But it proves that a lot can happen in a few days. I've also found that sometimes it's hard to keep up with technology. 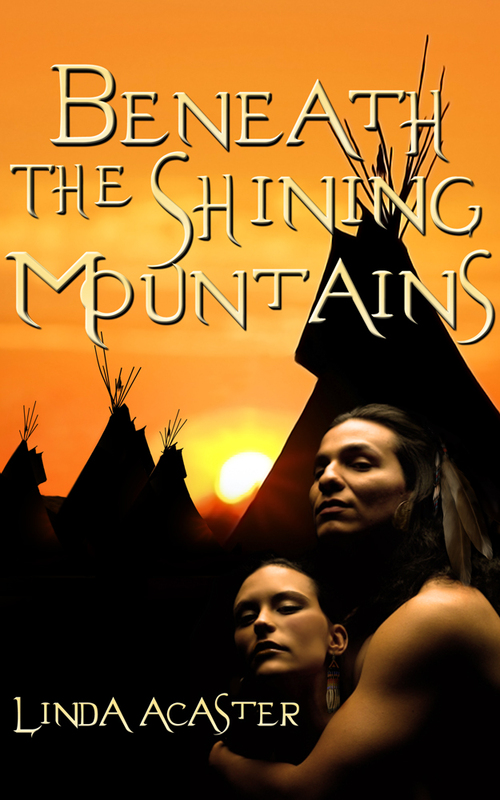 Partly as a trial run for *Visibility* purposes, I am discounting the Kindle edition of my Native American Historical, Beneath The Shining Mountains, from its usual $2.99 / £2.00 to 99c / 77p from today until midnight 3rd March. According to Amazon's instructions it would take around 12 hours to filter through. It took one hour to go live on the USA/UK sites - which took me somewhat by surprise. But what, I hear you mutter, if readers don't have a Kindle? That's where the speed of technology has overtaken me. It is available in all eformats on Smashwords but due to the time constraints of feeding price changes to its distributors I've gone instead for a Discount Coupon Code. This I will be offering first to my Newsletter subscribers. Now there's an incentive to subscribe (top right - easy-peasy). Beneath The Shining Mountains has gained nine 5 star reviews on Amazon.com since it was published - or republished by me - it sold 30,000 copies in print when it first saw the light of day under another title. Watch out for the Tweets, or you can help spread the word by Tweeting this blog. It's all very much appreciated. And for those who haven't read it yet, enjoy the novel. The Bull At The Gate has entered pre-launch mode and Visibility now becomes the watchword. Today I've revamped this site, making the Follow subscriptions easier to see, and including a new Coming Soon page with all the details. The anticipated launch date will be the first week in March, the first Saturday in March if I can make it. There will be a Twitter and Facebook promotion drive starting shortly, and a short blog tour. I'll also be offering a discount on Book 1: Torc of Moonlight. What better reason to Follow the site or sign up for a Newsletter? It's all happening folks, just as fast as I can make it. Come along for the ride. The Bull At The Gate has finally come out of editing and is ready for its beta readers, stage 6 in my editing checklist. For those interested, stages 1-5 didn't so much cut the novel as add on another 3,000 words, most of which went into smoothing the historical storyline. Stage 4 was an automated edit check via software. Over the last few months I've tinkered with the free version of Pro Writing Aid for short pieces to see how it worked, but for the length of a novel I took out a year's subscription - at $35 this was a no-brainer. The analysis is broken down into 20+ reports which to start with I had emailed to myself as a pdf, but once I got used to the software I worked online with the Word document beside me. The analysis is very thorough and flags the reports of importance, but I read the lot. We all write with different emphasis, and I write with different emphasis dependant on the type of fiction. For this novel I found that I didn't always agree with the software's suggestions for alteration, but sometimes what it passed as decent I couldn't believe I'd missed in the manual edit. It did, though, make me look at the words on the page in a much more dispassionate light, which was the intention. Even though Book 3 of the trilogy isn't truly formulated yet, I need to write the teaser and Prologue for it to be added into the ebook. The teaser is written and the Prologue is outlined. The next job is to sit and write it while the novel is with its beta readers. An announcement has just been made that from 20th March the Sony eBook stores in the USA and Canada will close, and that their business, and ongoing customers, will be transferred to Kobo. It is part of a wider re-structuring in the company, but I'm still sad to see it happen. Sony was a pioneer in providing an e-reader platform and an ebook store, and helped open the retail industry to independant authors. Its problem, though, was that it couldn't keep up. I know of only one acquaintance with a dedicated Sony ereader; I know of no one owning a Sony tablet who purchases their ebooks from Sony. My titles are distributed to Sony's Reader Store via Smashwords but sales can be counted on one hand. According to the update from the Smashwords blog, I'm not alone. This is a warning for writers as well as retail sellers. We need to stay close to the head as the market writhes.